The rules in Monopoly Junior are a little different than the adult version, where capitalism runs wild, real-life relationships get strained, and the f-bomb gets dropped more than once. As I learned to play the Junior version with my 5-year-old, I couldn’t help but geek out and compare these restricted new rules to our present day environmental situation. Lesson#1: If you land in jail, you have to pay to get out. Seriously folks, this is a no brainer. If we are unlucky enough to land on the Go to Jail space (real life translation: if we screw up enough to negatively impact the land in a major way) we have to pay to get out. In Monopoly Junior, you only have to pay a dollar. This helps the little ones feel like it’s not a deal breaker. But we grown ups should know better. Every buck you lose in the game is one less you have to use in a better way. There’s no Get Out of Jail Free card in real life. Monopoly Junior Lesson #1: Don’t waste your hard earned dollars paying for your mistakes. Reduce and Reuse is always way cheaper than Recycle. Lesson #2: Take care of your property. 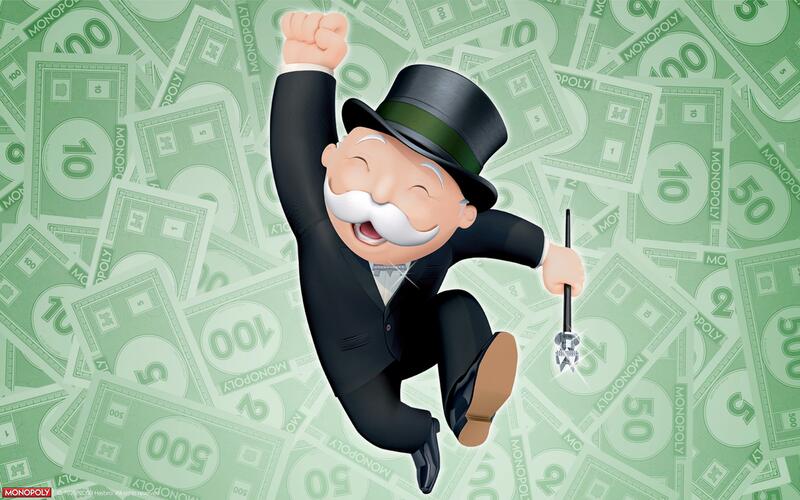 In Monopoly Junior, you have no choice but to buy a property when you land on it. It’s a simple rule and fits the younger set Monopoly Junior is designed for. Making hard choices in a board game is a sure way to stall you out, so this rule takes away any tough decision making for the kiddos. Land on a property, you buy it. Believe it or not, it’s the same in the real world. You inhabit somewhere, and you’re responsible for it. Using the resources of the property you’re on is a must. There’s no way not to impact it. So, why do we as a society find it still so hard to be kind stewards? For some reason, we adults still think we’re playing the grown up version of this game. We seem to believe that landing somewhere gives us a choice. But really, aren’t we just kidding ourselves? If you land somewhere, even just briefly, isn’t it your responsibility? I hope to pass along my ownership of Boardwalk when I depart this earth to my daughter. But while I’m here, it’s my responsibility. And the bonus lesson we learn… with responsibility comes rewards. Sure, I had to fork over 5 Monopoly bucks to own it, but I also get those benefits back (sometimes in double!) over the course of the game. Monopoly Junior lesson #2: Pay for our stewardship, treat our space with kindness, and we can reap some rewards. Lesson #3: There are no winners, only losers. The wacky thing about the rules with Monopoly Junior is that the first person who runs out of money and defaults on a payment loses the game. And that’s it, the game is over. There are no winners. At first I thought this was a bit anticlimactic (not to mention the negative attention associated with there being only one loser, instead of there being only one winner, like in most board games). But actually, in the long run, it teaches a great lesson. If we spend all our “money” (er, resources) in the game, no one wins. We’ll all be losers, and the game will be over. Lesson#4: You have to spend money to make money. It seems to me that sometimes organizations that are formed for the greater good seem to forget this basic lesson that even my kindergartner understands. For example, let’s look at environmental communications. A website, e-newsletter and a donate page just aren’t enough to engage today’s supporters. This conundrum directly supports Monopoly Junior Lesson #4. All those communication channels and materials (and writers!) take money. And your donors today are going to completely discredit you as an organization without throwing some money at these things. So, Monopoly Junior lesson #4: Spend money, make more money, funnel some (most?) of that money back into your environmental programs, and turn the rest of it into making even more money so you can do even more good. As you advance around the board and get deeper into the game, the penalties get higher. Real life is like this too. The deeper in we get, the higher the cost to stay afloat. Sure, if we make it all the way around the board and pass Go, we can resupply. But that only happens every so often, and we shouldn’t count on it for our main supply. I’m the first to admit that I am constantly learning about life from my daughter. And… I’ll also admit even I was a bit surprised by my geeky comparison between this particular board game and the environment. But, like parents everywhere, I take my lessons any way I can get them.